The right restaurant point of sale (POS) system can provide more value to your business than simply handling orders and payments. 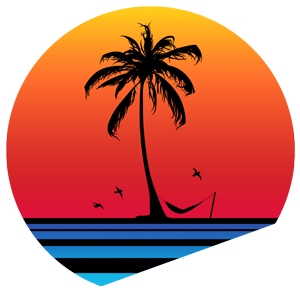 Paradise POS restaurant point of sale systems provide your business with tools that can increase operational efficiency, control cost, and improve the bottom line. Our POS systems are designed for iOS devices so they are perfectly suited for taking orders tableside and pay-at-the-table convenience. Paradise POS systems are also designed to allow you to configure the user interface to help employees work quickly and accurately. Customize graphical menu screens to the make ordering and checkout processes intuitive, simple, and accurate. Easily modify or change menu items, pricing, promotions or specials to attract new customers. Accurately and efficiently keep track of primary cost centers like inventory, ingredients, labor, and marketing. Monitor operations for excessive voids, comps and discounts to reduce shrinkage. Pull a variety of reports to monitor key performance indicators. Use the cloud to access critical business data via a tablet, smartphone, or PC so you can make timely and informed business decisions. Identify your most profitable menu items, specials, and happy hour promotions. Create attractive marketing promotions to drive traffic, and incentivize repeat business by offering loyalty rewards. I find myself ultizalizing all the tools and functions that it has. It helps us easily operate our business. I've used other systems in the past and the flexiblity of this program is night and day. Our restaurant point of sale software is designed for Apple devices. Our internet-independent point of sale systems still communicate, even when the internet goes down. Accept all types of payments including cash, debit, credit, gift and loyalty. Easily modify or change menu items and pricing by specific location or globally. Decrease spoilage, eliminate waste and analyze profitability down to the ingredient. Use NTEP-certified scales to weigh items for sale, and label and scan products to track inventory. Monitor costs and manage labor to ensure you have adequate staffing at peak times. Accommodate tabs, easily handle transfers, splits or merged checks, and manage seating. Increase average ticket size with conversational ordering and suggestive selling prompts. Avoid costly fines and penalties by scanning ID to verify age when selling regulated products. Run a variety of reports that provide detailed insight into business performance. Offer gift cards and loyalty rewards to attract new and repeat customers. 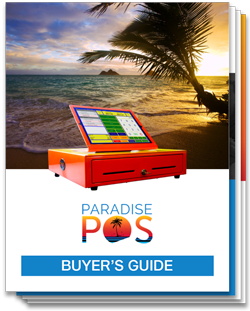 Whether you are a single store operator or multi-unit franchise, Paradise POS offers an innovative solution for your business as well as a variety of affordable pricing plans. Built for iOS: Our restaurant point of sale software is designed for Apple devices. Offline mode: Our internet-independent point of sale systems still communicate, even when the internet goes down. Secure transactions: Accept all types of payments including cash, debit, credit, gift and loyalty. Customizable menu and pricing: Easily modify or change menu items and pricing by location. Inventory and ingredient management: Decrease spoilage, eliminate waste and analyze profitability down to the ingredient. Scale and barcode integration: Use NTEP-certified scales to weigh items for sale, and label and scan products to track inventory. Labor scheduling and payroll: Monitor costs and manage labor to ensure you have adequate staffing at peak times. Check and table management: Accommodate tabs, easily handle transfers, splits or merged checks, and manage seating. Smart ordering and combo meals: Increase average ticket size with conversational ordering and suggestive selling prompts. ID scanning and age verification: Avoid costly fines and penalties by scanning ID to verify age when selling regulated products. Business reporting: Run a variety of reports that provide detailed insight into business performance. Gift cards and loyalty programs: Offer gift cards and loyalty rewards to attract new and repeat customers. Staying on top of your labor is easy and straight forward. This is the difference between profit and loss. Your data is always backed up in the cloud and your data is always local. It's the best of both worlds. With our experience in retail and restaurants we have created a system that is flexible enough to fit your business. Our support sets us apart for our competition. We are always available via phone or email. Copyright © 2019 . Paradise POS. All Rights Reserved.